Back in the late 90’s I was traveling through Southern Italy en-route to Turkey and had the good fortune to meet a family of organic Olive farmers. 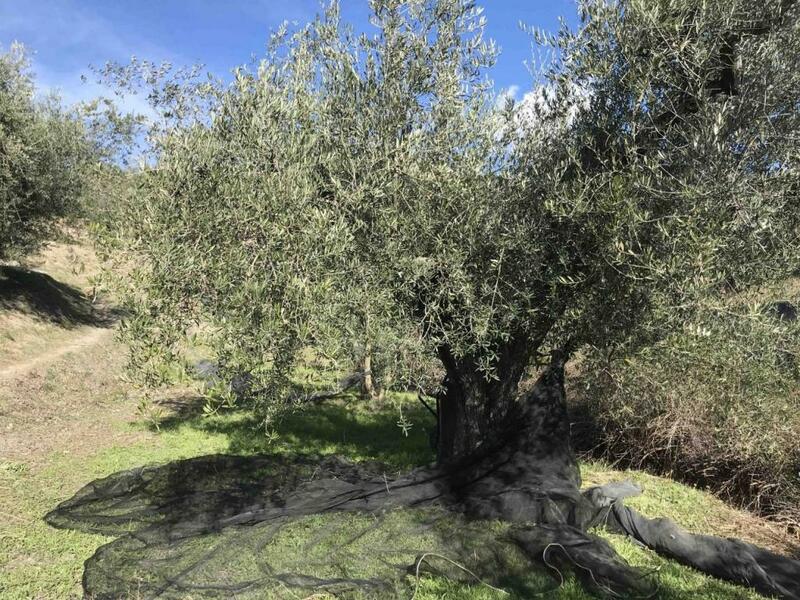 They were about to start their annual Olive harvest and invited me and my travel companion to help with the task in exchange for food, board and as much oil as we could pack into our camper van. 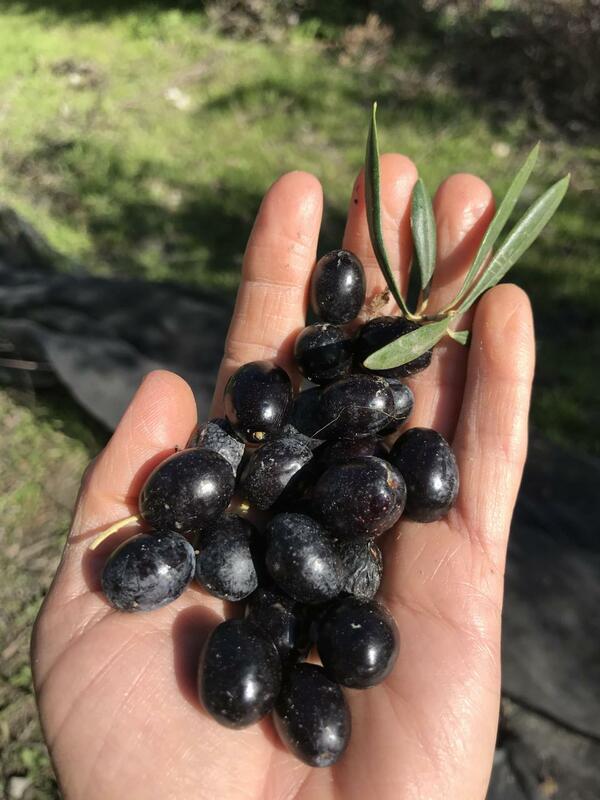 Ten years later I had made the bold move to purchase my own Olive farm in Andalusia Spain and the opportunity to craft my own products from this magical fruit. Each year we would harvest our mature trees, some of which were over 200yrs old and take them for cold pressing at the mill. The oil was like liquid gold and had a smooth rich taste with a fruity edge that kept our customers coming back year after year. It was with a heavy heart that we had to sell the farm after 8 years of hard work and successful cropping. 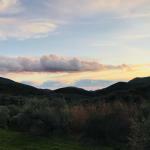 This February I returned to the region to visit friends and take a week long silent retreat. 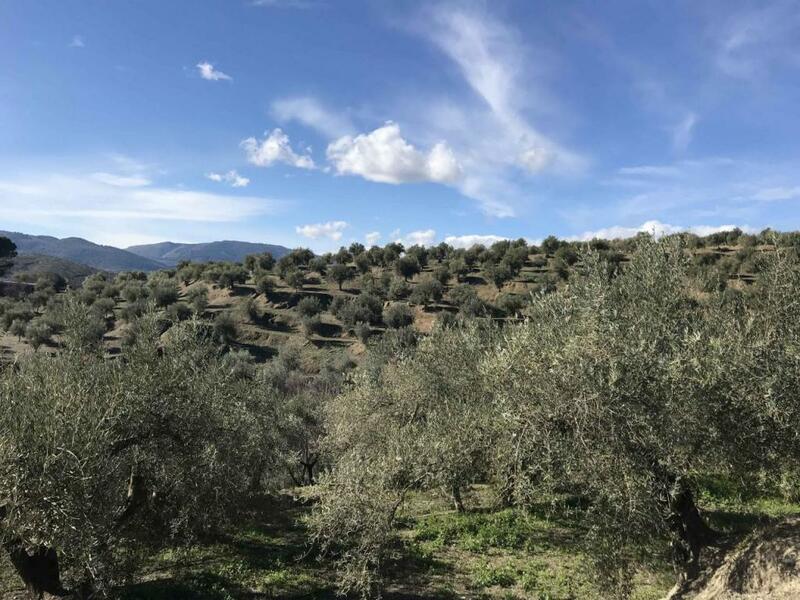 There is nothing more relaxing than strolling through the terraced hillsides and seeing the Almond trees bursting into bloom and the Olives dripping ripe from laden branches. 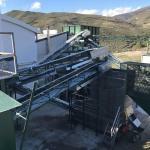 It seems like 2018 was a bumper year, my friends in the area were all happy with their harvest and the new organic cold press mill (La Flor De Alpujarra ) was in full production mode the day I visited. 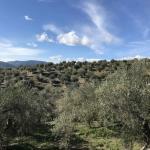 Unlike some of the commercialized farms around the Mediterranean, the Olives in the Alpujarra region are still collected in the traditional way with large nets spread under the trees and long bamboo sticks or hand rakes used to pluck the olives from the branches. 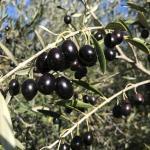 The Olives are typically picked when they are most ripe, Black and plump and then taken to the mill for pressing. 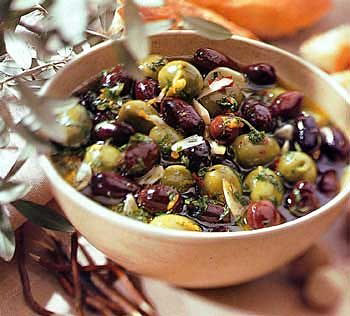 Green Olives are still commonly picked for brining and typically flavored with garlic and mountain Thyme. (See recipe below) But the riper they are the more oil they yield. Picking Olives for me was always evocative of cold but sunny days, spent in the company of a couple of family members as we worked each tree, laughed and joked and enthused over our day’s harvest. 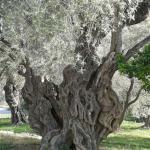 It typically takes 2 people an 8-9hr day to collect 3-4 full sacks of Olives. Our full harvest usually took around 2-3 weeks to bring in and there was nothing more rewarding than watching the Golden liquid emerge at the press! 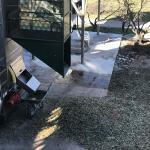 Traditional Olive mills, which used stone weights and grass mats, have pretty much ceased production, making way for slick modern machinery and a cleaner product. 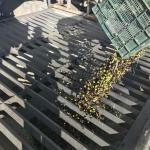 The Olives are first fed into a hopper from where any stones or dirt are removed, then the leaves are blown away by fans and finally the olives receive a rinse. The clean fruit are then ground up with a big metal spiral grinder, the resulting pulp is then pressed to extract the liquid. 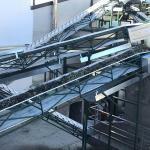 The liquid is spun through a centrifuge to separate the water from the oil. The result truly is liquid gold. We all know that Olive oil is good for us and that the Mediterranean diet is touted as one of the healthiest on the planet. 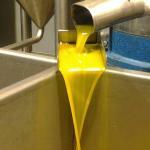 There are however a few considerations when selecting and using a good quality Olive oil. Look for Extra Virgin Olive oil and, ideally from one farm and not a blend. 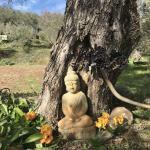 Organic is best, both for you and for mother earth, as intensive olive farming does rely heavily on herbicide and is motors for causing soil erosion and desertification. 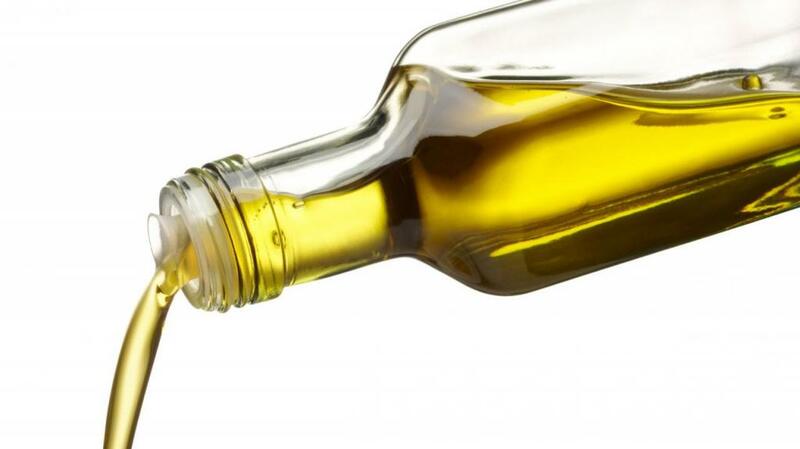 Keep your oil out of the sunlight, ideally in a dark place and decant into smaller containers to retain freshness. 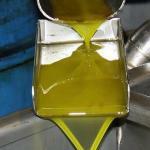 Every time you expose your oil to the air it is subject to oxidation. Ideally Olive oil should not be heated, heating any vegetable oils causes them to become unstable and thus no longer healthy. If you desire that Olive oil flavor then simply cook your meal with a small amount deodorized coconut oil or ghee and then drizzle with Olive Oil once the dish is cooked. 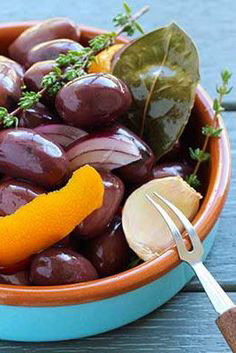 Here are a few examples of easy and tasty marinades to add flavor, cooler and additional health benefits to your olives.To marinate your own olives you would need access to an Olive tree or a friend with a tree! Alternatively you can purchase naturally brined Green or Black Olives and add your own marination. First, the olives must be cracked with a stone or small hammer to split them open. This allows the soaking liquid to quickly penetrate to the pit. 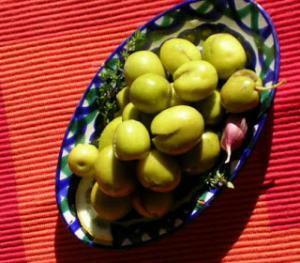 Uncracked olives require months to sweeten; split ones take about three weeks. I wear old clothes because smacking olives splatters oil everywhere. I’ve also tried the method from Extremadura, where olives are rayado, incised with a sharp blade. As an experiment one year, I used a little gizmo, like a hole-punch, to remove the pits from some of the olives, this was effective but left some of the olives broken and with less crunch once they were fully brined. I placed the olives in small earthenware jugs, orsas. I covered them with water. Just water at this stage. I used non-chlorinated spring water. It’s extremely hard water (high in calcium, demonstrated by limescale on my kettle), which I think may help keep the olives crisp. I drain off the water and refresh it every two or three days until, when tasted, the olives are no longer bitter. Defining bitter is definitely subjective. I have bought some cured olives at the market that I would say were still really bitter, it’s a matter of taste. I let mine soak, changing the water every few days, until there is no bitterness left, that takes about three weeks. The olives are then immersed in brine, where they continue to cure, as well as take on flavor. Years ago, I learned that the brine should be strong enough to float an egg. Believe me, that can vary depending on the freshness of the egg! 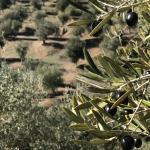 Optimal measures: measure the water required to cover the olives. Use 7 tablespoons of sea salt salt or any non-iodized salt for every 4 cups of water. Now comes the flavoring. In my village, traditional flavoring for olives includes quartered lemons, unpeeled cloves of garlic, sprigs of thyme and flowering bracts of fennel. Elsewhere in Spain, I have sampled olives flavored with strips of red pepper, chili, oregano, vinegar, anchovies, rosemary and bay leaf. Pack the olives together with desired herbs, spices etc into jars, ensuring that the olives are submerged, this can be done with strands of thyme or Rosemary. Store in a cool dark spot! Toss together with a good quality EVO and pop into jars. the marinating Olive oil can also be used for salad dressings and dips once your olives are eaten. Pour the whole jar into a dish and serve with warm toasted Flat bread or crackers, add in Lemon juice and fresh parsley for added zing!